The Romans should get the credit for building infrastructure and providing security that allowed Latin to flourish as the common language over a vast distance. Fast forward thousands of years later, to find that although the Romance languages are different, they are similar enough that speakers can muddle through to get the price of something, or find a bathroom. I think English will remain the world's key language because it is the programming allows the internet to function. Otherwise, we should all follow the tea leaves and see that China's "Belt and Road" initiative will make Mandarin the Earth's key spoken language in few generations. I would agree with you but the current trend in Canada is 180 from that idea. The Canadian government is spending 10's of millions if not 100's of million to prevent the indigenous languages from dying. Part of saving native culture and identity. Yes, but you can see how they have to swim against the current in that effort. If I had any say in the matter, I would let these indigenous languages fend for themselves. Recently I spoke with a family from Nunavut who sold me some license plates (expensive). The wife told me of their struggle to keep the language going, especially with the younger people not having much interest. I can see why she wanted to keep it going but I also think the government shouldn't be subsidizing the effort. A bit off topic, but she also mentioned a controversy within the language savers about a lack of terms for the reproductive body parts, because they were just always too embarrassed to put them into words. However, with the advancement of medicine it was kind of ridiculous to keep using expressions like "down there." Some purists opposed adding any new words but others, who put more of an emphasis on health, favored it. Slowly, I think the world is consolidating on fewer and fewer languages, which is a good thing. When I hear of a language dying off, I see it as a sign of world progress. There are 726 languages spoken across the Indonesian archipelago in 2009 (dropped from 742 languages in 2007), the largest multilingual population in the world only after Papua New Guinea. But much of the first world is spending a fortune to keep older languages alive. I know in Mexico the problem is developing an orthography as many of the languages had not written form. 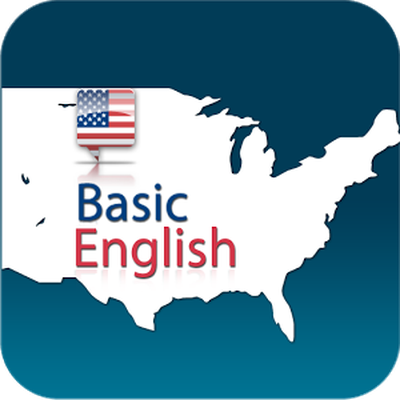 BASIC English was invented in 1925 with the hope of becoming a World language. Esperanto was invented in 1887, but was widely believed to be going nowhere. George Orwell (born 1903) was originally a big proponent of BASIC English, but he later mocked it as Newspeak in his book 1984 (written 1948). In the medical context that make no sense at all. The doctor who they are describing their symptoms to, is unlikely to speak the indigenous language anyway. In comparison, Europe was huge. You have to keep in mind pre-human savages made it from Africa all the way to Asia. Later on, barely technological, pre-literate humans colonized the whole world, including tiny specks of land in the Pacific Ocean. Truth is mobility changes from time to time. In the Roman Republic, the average male citizen could expect to travel anywhere from Spain in the west to Turkey and Syria in the East, in the course of military deployment. And camp followers covered huge distances shadowing various legions. This is why Roman roads are a thing, and why many persist to this day. Even many Roman bridges are still in use. By late Medieval times, travel, even for war, involved shorter distances. even so, it took nothing more than money and will to get thousands of Europeans to the holy land to kill infidels there. Travel has always been a matter of necessity and means. When the means dropped in price, as they did with the Industrial Revolution, necessity became easier to justify. I'll admit that even during the Great Depression when young men were hitting road in hopes of finding charity or jobs elsewhere many farmers were unable to. One dairy farmer family survived by selling cottage cheese (remember that zillions of dairy farmers had dumped milk in the street rather than truck it to the city to be sold at a loss). Until electric milkers were invented, a dairy farmer could not leave home even for a vacation. Yet also read famed Western novelist Louis L'Amour's "The Yondering Years" for an account of his travels. One might also enjoy reading the diaries and journals of female representatives of learned societies. Women who traveled from Boston to Indiana to write for the National Botanical Society or Geographic Society were making quite a journey. And diaries of wagon travel by ethnologists in the American West show how difficult travel was but how welcome travelers generally were. Accommodations were often of poor quality but always available. One need only look at the largely female trekkers of today such as the self built aluminum boat that I posted about long ago or the largely female commune in the offshore islands of Panama. The great party boat agglomeration in the Caribbean shows travel patterns though generally for the heterosexual community. Look at The Life Nomadik for Bulgarians who went to so many countries and did it all on seven gallons of fuel. Look at the diaries of young women who adopt a lifestyle of signing on as crew for private yachts and travel the whole world. Sure some come a cropper but even that young girl who hit a steel deck headfirst from the top of a 35 foot mast sure lived a grand life in her short years and her Celebration of Life ceremony had no mention of the words 'death' or 'funeral', no wearing of black, only gay colors and large amounts singing, dancing and consumption of various substances. So travel, even when it turns bad, still makes for a wonderful life. India is somewhat akin to Mexico in that India embraces English as its unifying language. Mexico simply embraces Spanish as its unifying language. Isolated villagers had little reason to travel great distances. US Customs was always suspicious of Mexicans traveling with anyone who was not from their own family or village or perhaps a cousin from a nearby village. Canadian efforts to preserve indigenous culture largely originated as efforts to preserve a military claim to polar seas and trade routes. As ice melts Canada wants it to remain Canadian territory rather than Russian territory. The US stories of soap in the mouth of an Indian student are plentiful. Just look at that post from long ago "I am not a Mexican" by a Vagabond Opera member and now Professor of Sociology, Jason Flores, as regards his family's language training in New Mexico and how Mexicans viewed him despite his family having been in New Mexico from the days of Emperor Maximilian. Even the Corps of Discovery learned the advantages of adopting local words and phrases but "spoke" mostly sign language, French and Sioux. Of course the universal measure of time and distance in those days was "the sleep" and that is very easy to convey in sign language. Unless it's a shaman, which are probably still around in Nunuvut. I'm not an expert, but 500 years ago Europe must have seemed a huge place and it was just too big to keep a common language going. .
not the kind we see here in the States. Imagine no roads, just two track paths. died in the forests all the time. No the government has no end of funding for native communities. Pretty much every native community in Canada of over 100 population has it's own fully equipped health clinic manned by nurse practitioners. Even the ones 10 or 20 miles from a real hospital. Ten miles or not. .
10 miles from where they were born. same clothes every day and slept in them. on the floor. It was a swell life.